Located right opposite to Mami's restaurant, this budget-friendly hotel also offers a professional massage & fitness center as well as an indoor swimming pool. The rooms are spacious and the staff is quite friendly . The breakfast is arranged at Amari Hotel next door serving excellent Western, Thai and Indian dishes. Situated in the striking location of central Pattaya, Nova Gold Hotel Pattaya offers the premium accommodation experience to its guests. This 4-star rating property offers renowned services, relaxation, and comfort to the guests. The hotel is in close proximity to the Pattaya Beach and numerous shopping places and is ideal for both families and honeymoon couples. The hotel offers spacious and stylish rooms, an outdoor swimming pool, well-equipped fitness room, and Jacuzzi. The hotel also maintains an in-house restaurant and an in-house pub. 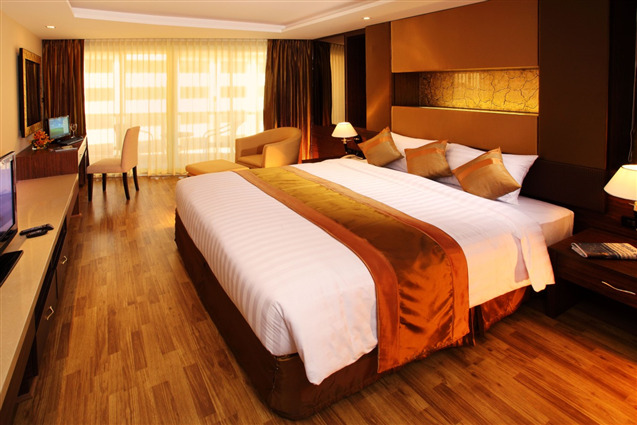 Nova Gold Hotel Pattaya has modern Thai decoration, which complements the contemporary furnishing. The interiors of the rooms offer the ultimate opulence and comfort to the guests. Moreover, the hotel provides the impeccable services, modern amenities and warm hospitality to its patrons. Further, Nova Gold Hotel Pattaya is a 9-minute walk from the Pattaya Beach and a 45-minute drive from the U-Tapao Rayong-Pattaya International Airport. Nova Gold Hotel Pattaya Thailand has 77 well-designed and lavish rooms incorporated with private balconies. These balconies provide the beautiful pool view and the lush green tropical garden view. The hotel has an intimate setting and offers the Thai hospitality. Each room is spacious, airy and well-maintained. The contemporary wooden furnishing of the interiors balances the overall modern Thai decoration of the hotel. Each room has a bed, air-conditioner, bed, minibar, modern furnishing, fully-furnished bathroom, LCD TV with cable, DVD and CD player and living area. With striking architecture and contemporary Thai style living, the hotel offers a lavish experience to the guests. With a blend of lavish and comfort, Nova Gold Hotel provides a wide range of facilities and services. It is a modern-day hotel and has 77 comfortably designed rooms with private balconies, which is perfect for both short visits and longer stays. The rooms offer a spectacular pool view and garden view. The contemporary wooden floorings complement the modern Thai luxury. Guests can enjoy the spectacular view from the private balconies and can relish the moment. The hotel has an outdoor pool, which is suitable for both adults and little ones. The in-house spa center gives massage treatments while the in-house gym is equipped with modern equipment. The other features that the hotel provides are free Wi-Fi, shuttle service, babysitting service, concierge service, medical service, and parking service. The hotel offers the complimentary breakfast buffet to all its guests and they can choose from the Thai, Continental, American and Asian cuisine. The hotel also has an in-house restaurant, namely Bistro. With modern decoration and calm ambiance, the restaurant serves the delicious and luscious Thai and Western cuisines. With a cozy atmosphere and beautiful setting, Bistro offers a wonderful dining experience to its visitors. It also has special arrangements for the kids. Moreover, guests can have cool beverages and Thai food from the in-house bar, which is known as Jamesons Irish Pub and can enjoy them poolside. Nova Gold Hotel offers numerous commendable services and attracts many tourists. It is situated in the serene environment and beautiful setting. This 4-star rating property offers luxury and modern comfort to its guests under one roof. With prominent services, modern amenities and warm hospitality, the friendly staff members of the hotel offer 24-hours room service. How far is the international airport from the Nova Gold Hotel? 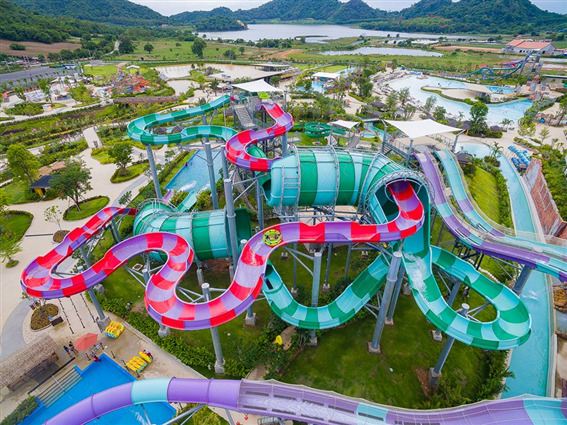 The hotel is about a 45-minute drive from the U-Tapao Rayong-Pattaya International Airport. Does the Nova Gold Hotel have a fitness center? Yes, the hotel offers a well-equipped gym with modern facilities for the guests. What are the things one can enjoy in and around the Niva Gold Hotel during their stay? Tourists can relax in the in-house spa center and fitness center. They can explore the famous Pattaya Beach and nearby markets too to buy souvenirs from there. Yes, breakfast at Nova Gold Hotel Pattaya Thailand is included in the price. Does the hotel feature a swimming pool? Yes, the hotel has an outdoor pool where guests can enjoy a relaxing swim. Nova Gold Hotel Pattaya Thailand is a 4-star rating property and offers a magnificent pool view and lush green garden view. 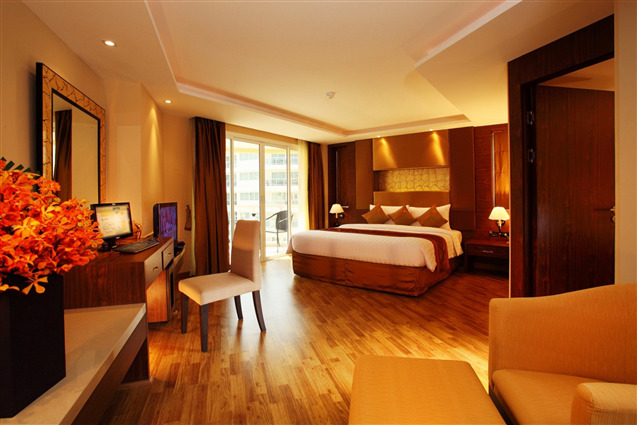 The hotel is the perfect amalgamation of the lavish services and comfort. Guests can relief in the beauty of nature while being surrounded by vibrant greenery and calm ambiance. Inspired by the modern Thai luxury, the hotel has the classic wooden furnishing. The hotel maintains 77 spacious and luxury rooms. Further, the hotel offers airport shuttle service, laundry service, 24-hours room service, babysitting service, and free Wi-Fi. There is also an in-house spa center where guests can rejuvenate themselves and an in-house modern gym where guests can perform their daily workout regimes. The hotel also features an in-house restaurant, which is known as Bistro. It serves various delicious cuisines in three-time of the day. The in-house bar, Jamesons Irish Pub serves the amazing beverages. With the perfect amalgamation of luxury and comfort, this hotel is a perfect place for those who want to create memorable reminiscences.